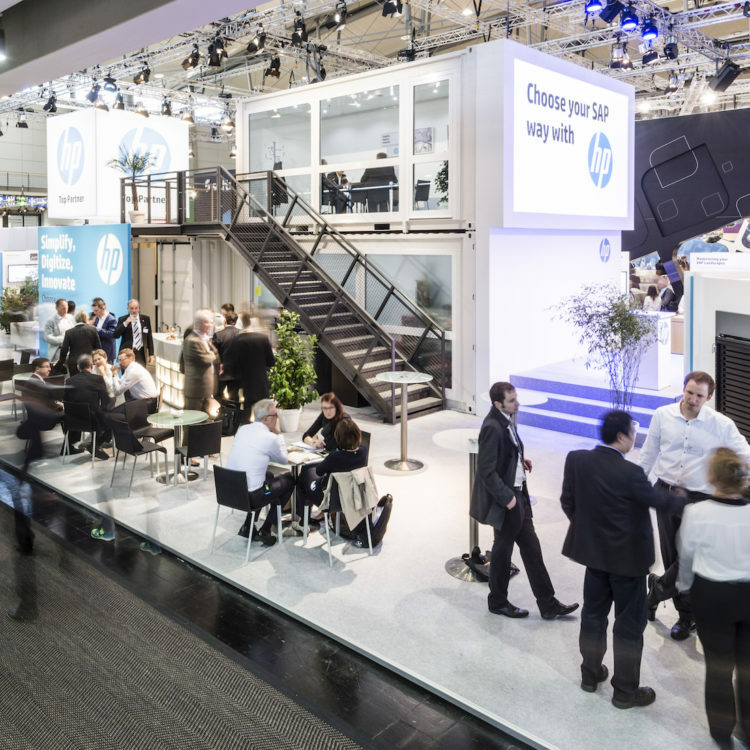 This trade show container module was based on the plans of the company ArtLab Studios GmbH and had its premiere at the Cebit. The module consists of four high-end 20ft trade show containers: a high cube sea container, a storage or technique container, and several attachable container decks. The trade show container is lavishly vitrified, sound and heat insulated, complies with the strict fire safety requirements of trade shows, and has a high technical standard. Dimming light technique, the internet and video connection and an air-conditioner are all included in the amenities. The trade show container module has many assembly variations and can also be used outside without any problem. The module was used for the second time at the Fespa in Köln. Its deployment in two more trade shows is already planned.